Irvine, Calif., Jan. 31, 2017 – China’s rapid ascent to global economic superpower is taking a toll on some of its ancient ways. For millennia, people have patterned their lives and diets around the vast fisheries of the East China Sea, but now those waters are increasingly threatened by human-caused, harmful algal blooms that choke off vital fish populations, according to a new study led by researchers at the University of California, Irvine. UCI Professor Katherine Mackey (right) and Adina Paytan, a professor at UC Santa Cruz’s Institute of Marine Sciences, catalog samples taken from the East China Sea. 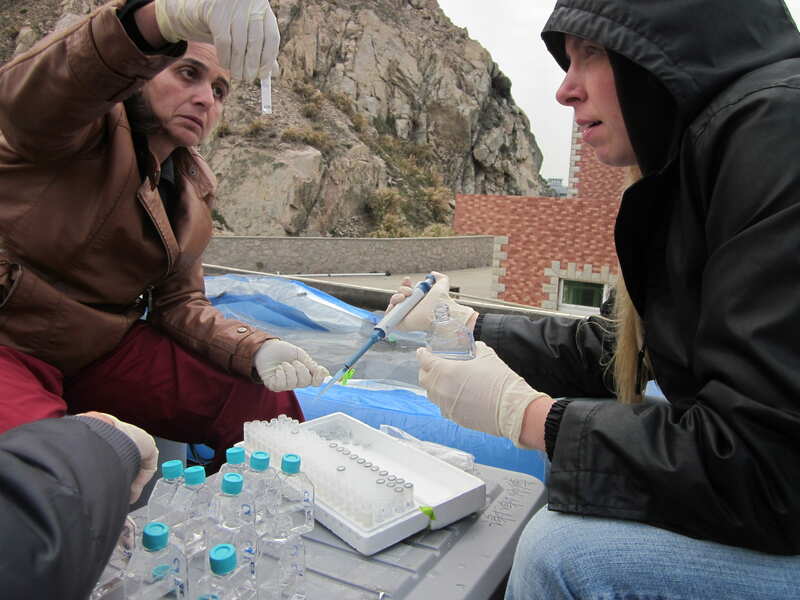 Their team analyzed the water to gauge the impact of human-caused pollution on fragile aquatic ecosystems. 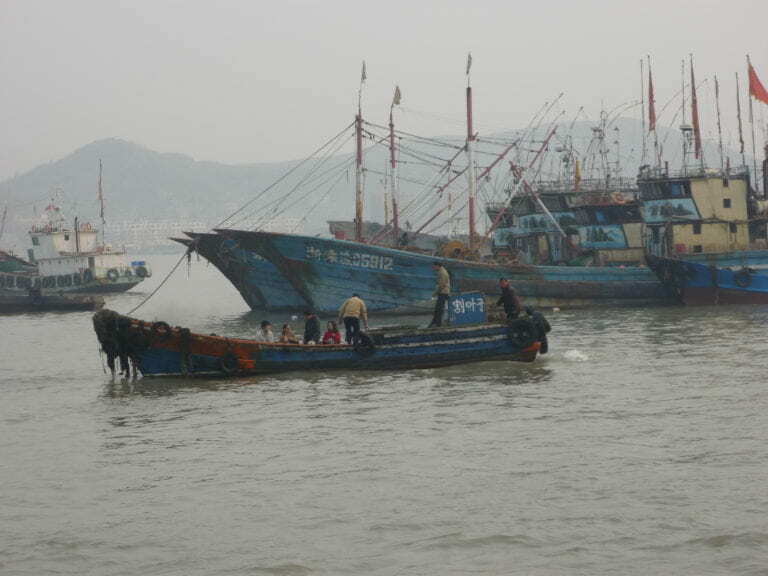 Mackey and colleagues at Woods Hole Oceanographic Institution, China’s Fudan University and Nanjing University, and UC Santa Cruz studied the deposition of particles in the ocean downwind of China’s enormous industrial and population centers. They found that the winds carried an overabundance of nutrients offshore, where they fell into water to be taken up by marine organisms. That, together with runoff from rivers flowing into the sea, is causing changes to the region’s ecology. Certain aquatic plants and plankton thrive on the extra nutrients, for instance, crowding out others and wreaking havoc among ocean-dwelling species’ normal ratios.